PlyoVertical - Brand New Vertical Jump Training To Jump Higher! "SECRETS TO JUMPING HIGHER REVEALED"
Just one payment of $97.00 and receive instant access immediately after purchase. Secret combination of Vertical Mechanics, Jump Technique and Fast Action Plyometrics results in the most powerful instant vertical jump training ever seen. Vertical Jump Training has evolved. In 2009, we released our Freak Jump Technique training program. It was the first ever training program that helped athletes install instant inches into their vertical jump simply by correcting their jump technique. Jump Technique is no longer the exception. Jump Technique is no longer a secret weapon - It's what's necessary to level the playing field. But now it is TIME to evolve. It's time to take your vertical jump training to the next level so that you jump even higher, faster than ever before. We've tweaked our world renown Jump Technique training to be more effective (tweaks that the knockoffs don't even know exist yet). We are finally introducing our brand new Vertical Jump Mechanics training, in combination with our never before seen Explosive "Fast Action" Plyometrics, in order to create the fastest way to explode your vertical jump. You'll once again have an advantage over all of your competition and truly have the world's most evolved and highest level quality vertical jump training, guaranteed. This brand new training system is called PLYOVERTICAL! 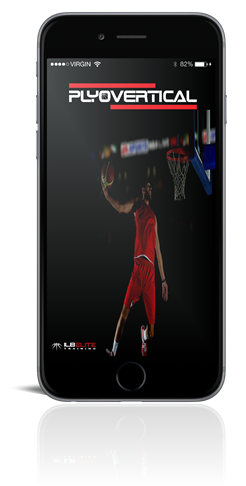 PLYOVERTICAL is the ultimate vertical program. 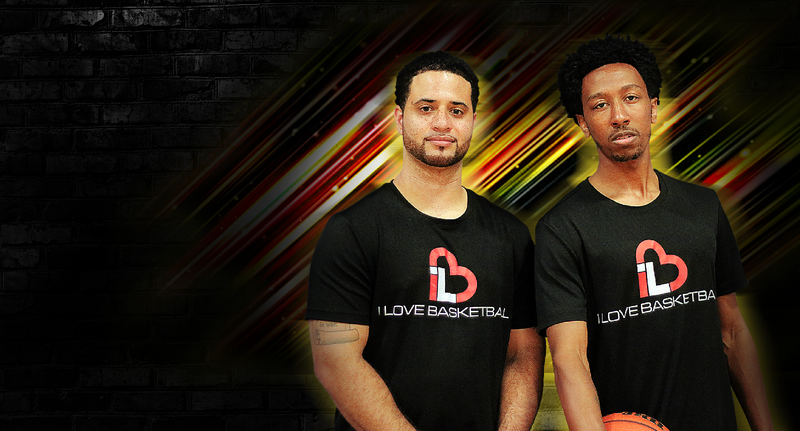 Taught by experts in jumping & proven to explode your jumping ability. 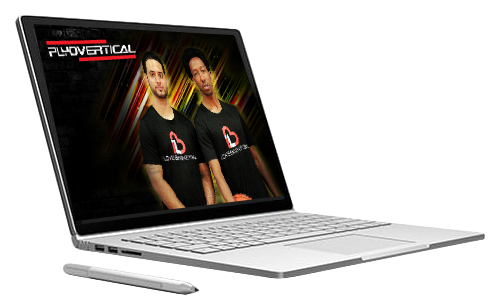 Vertical mechanics is our innovative next level training that teaches jumping techniques never before used anywhere else in the world. In this program you will unlock hidden abilities within your muscles that you never knew existed before. Our unique combination of Jump Technique, Vertical Mechanics and “Fast Action” Plyos will have you jumping 10+ inches higher, up to 3x FASTER than a standard vertical jump training program! If you are looking to become more confident on the court, both offensively and defensively, then PlyoVertical is training that you need in your “toolbox”. There is nothing that will bring you more pride than out jumping your competition, your teammates and friends. You stand out. You get attention. You build confidence. 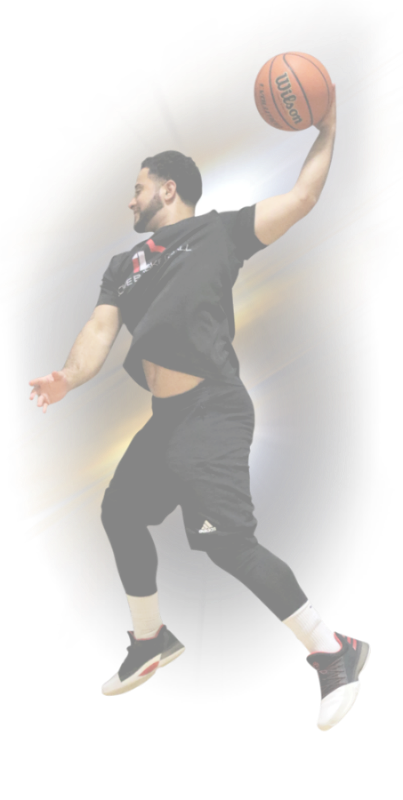 Using our proprietary blend of jump technique, vertical mechanics and “fast action” plyometrics - you will gain immediate and noticeable explosiveness from your very first workout! PlyoVertical is aimed to develop your jumping mechanics while increase your power output, which is the ultimate combination in vertical jump training. In order to truly benefit from your new found jumping ability - we created a system that will deliver maximum vertical jump in LESS steps. This will develop your jump so that you have proper in air stability needed around the basket to finish stronger through contact, get more rebounds, block more shots and be a much more intimidating player on the offensive and defensive end of the court. Training with PlyoVertical means you are training the only way the highest caliber athletes in the world train. You can of course expect to sky rocket your vertical jump and power output. But in order to do that - PlyoVertical will morph you into the best shape of your life. Expect to become quicker, more agile and stronger while you continue to improve your vertical jump! PlyoVertical isn’t just a “jump program” - It’s an athleticism assembly line. The fastest and most efficient way to jump higher. You will increase your jump with fundamental technique, vertical mechanics, and “fast action” plyos all while developing speed, quickness, agility, physical stability for jumping ability, cuts and in game finishing. basketball specific jump mechanics, and much MUCH more. Our Unique, Never Before Seen Combination Of Vertical Mechanics, Jump Technique and Fast Action Plyometrics activates your fast twitch muscle fibers, improves explosiveness, enhances hip flexor mobility and utilizes the correct vertical positions that unlocks hidden inches in your jumping ability. YOU'LL FEEL MORE EXPLOSIVE THAN EVER! Our "FAST ACTION PLYOMETRICS" tap into your fast twitch muscle fibers, elastic energy, and explosive output. Teaching your muscles to use maximum force in short intervals of time. They train your muscles and tendons to have a fast stretch shortening cycle & work by activating the quick response & elastic properties of major muscles in the body. By training this way, your muscles learn to move from muscle extension to a contraction in a very rapid & explosive way. The ability of your muscles to stretch & contract rapidly is what creates the elastic (bouncy) effect in “ELITE” jumpers. Every workout makes you more explosive by forcing your “jump muscles” to work VERY explosively while your vertical mechanics will REMOVE vertical jump “killing” mechanical mistakes you don’t even realize you are doing. 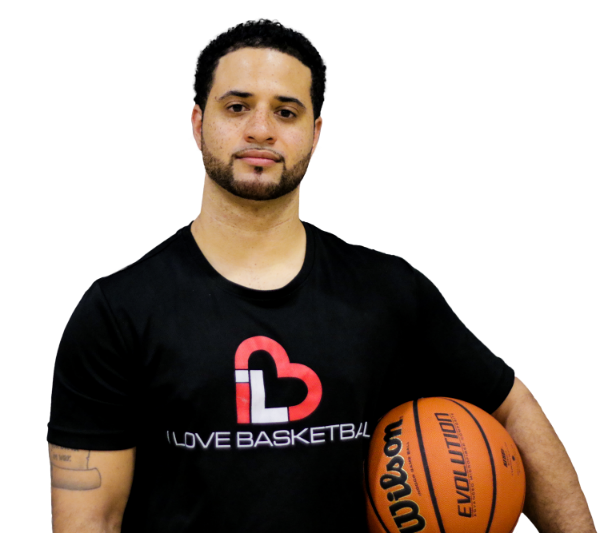 Coach Rocky is a former collegiate and professional basketball player that is now the world's most viewed and popular basketball trainer. 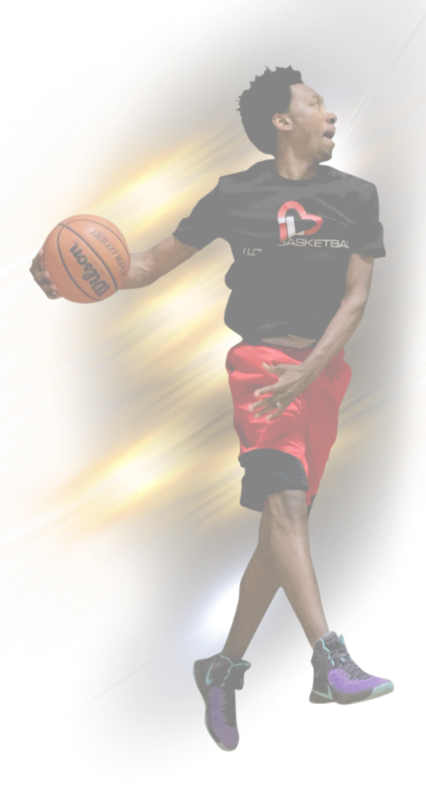 He has been featured on some of the biggest names in basketball such as Dime Magazine and ESPN. 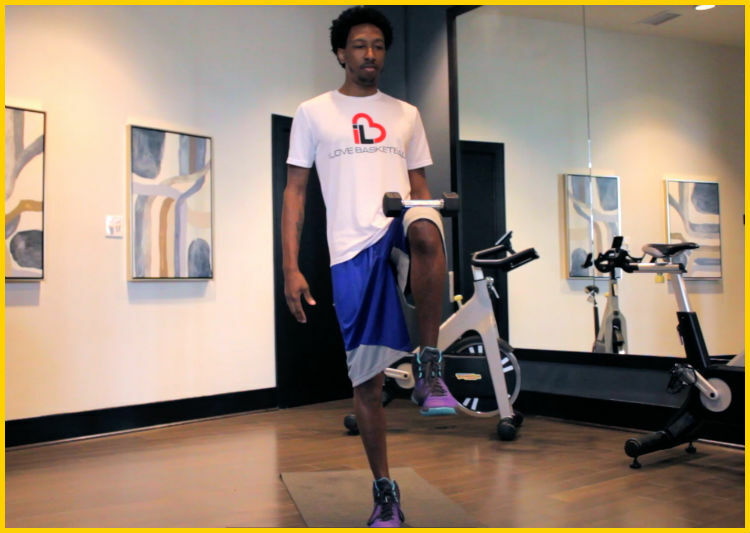 He has transformed the landscape of basketball & athletic training through his unique style of training. He focuses on game-specific, high intense training workouts that transform to in-game results, whether that be skills training or athletic training. His ability to tailor his training for real in-game results has separated him from every other trainer in the world. Performance Trainer & Vertical Jumps Specialist. His training focuses on utilizing game specific mechanics to improve overall: athletic ability, vertical jumping, speed, agility, and defense; which results in a world class repertoire. 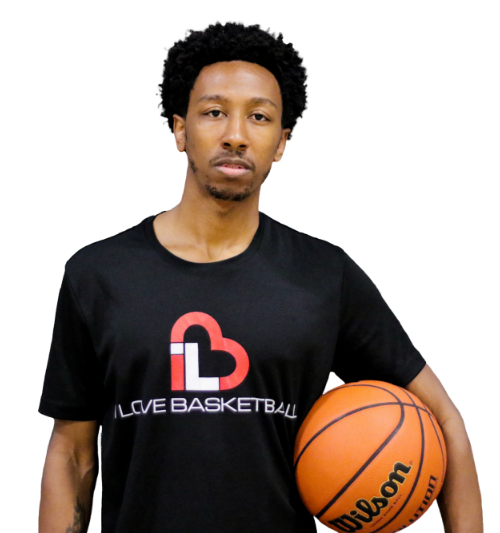 Coach Josh is a true tactician and a beast on the court, his innovative formula for effective training is what truly elevates him from the competition. Our Vertical Mechanics will train you to strike from the hips by stabilizing your core and keeping your body tall and legs under you while jumping. This will help you develop muscle memory in vertical mechanics and positioning. By doing this you'll increase your vertical jump immediately by adjusting your vertical jumping mechanics to “jump correct”. When training you'll a sense of shock and even possibly SCARE yourself with a new found, higher vertical leap . You'll jump much higher than you’re use to, so landing can be a bit jarring. You’ll have a new sense of confidence as you shock your friends, coaches and parents within days of working on your vertical mechanics. You’ll notice a more aggressive, confident, and athletic player on the basketball court. Discover how to build fast twitch muscle fibers in the muscle groups most important in vertical jump with our Fast Action Plyos. By doing this you'll increase your explosivity and power by accelerating your explosiveness with Fast Action Plyos. You’ll feel an explosive reaction when you do plyos like a rubber band being stretched and then let go. The feeling of “bouncing” can lead to even a sense of floating in the air. Your muscles will feel extremely reactive and powerful. 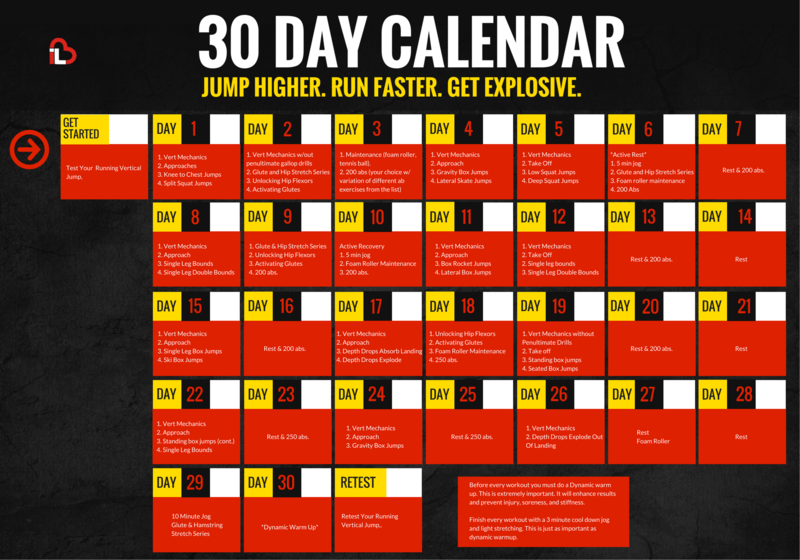 Your confidence will soar as you feel more explosive using Fast Action Plyos. Once you complete a workout, your muscles will feel pumped with explosiveness and you may even feel your legs “tremble” much like a volcano before it erupts. The feeling of this level of explosiveness lets you know your training is something you’ve never felt before. It’s incredible. Discover how to loosen, stabilize and strengthen your hip flexors which will help take pressure off of the hamstrings, gluten, and quads. This will help extend the stretch when performing a jump for maximum extension and when unlocked recruit more muscles to help with explosion from the core and legs. Once you unlock your hip flexor strength and flexibility you’ll realize how easy it is to jump higher all the time. You will be very happy with your jumping ability by doing something this simple. The Glute is the biggest, strongest muscle involved in the jump. They make up ~45% of the vertical jump. Inside of this section you'll discover how to activate and strengthen your glutes which will give you an advantage at jumping higher because its the biggest muscle and makes up the majority of a jump. Unleashing your glute function will give your vertical jump the boost it needs. You will be ecstatic knowing you’ve accomplished something your peers didn’t even believe you could do. Keep this to yourself and you will always have a jumping advantage over your competition and they will be begging you for the answers to your new found vertical skills. By fixing your Approach also known as the "Run Up" you'll be able to add instant inches to your vertical jump. Did you know that 90% of jumping ability happens DURING the approach? Maximizing your approach is the foundation to a higher vertical jump. By fixing your approach you will instantly jump higher. Inside of this section you'll discover how to master your approach so that you can maximize your vertical jump. This will have you feeling explosive, powerful, and “athletic” even before you ever leave the ground. Your ability to jump high is hidden within your APPROACH. Nothing is more frustrating than feeling sluggish and “stuck” to the ground. Never have the uncomfortable “unathletic” feeling when you run up to make an explosive jump. A great, explosive Take Off requires correct positioning and form. This is where our Vertical Mechanics in combination with our Take Off Techniques work together to explode your vertical jump. Being in the right position and utilizing correct take off form allows you to execute higher jumps than ever before. From the moment you hit a perfect take off, you will never doubt your ability to jump again. Your highest jumps will be your easiest jumps because when you nail that take - you will fly. Your hard work has paid off & Confidence will be at an all time high. You will be reluctant to show off your perfected skills with no doubts in mind. The past days of doubting your abilites are over. You can't jump high, play basketball or be athletic if you're injured. Inside of this section discover injury prevention secrets that will help you keep your muscles are looser so that they are more primed and prepared for the explosive movements performed during basketball & vertical jump training. You'll Maximize performance by having loose healthy muscles free of tension and build up. Our Dynamic Activation Series will also enhance coordination and motor ability/skills and provides mental preparation for the workout. This will keep your muscles in tact and able to fire completely through without any aches knots or blockages. Never have to worry about small aches pains and injuries, and always be prepared to perform at maximum capability. We'll assure that you improve your chances of avoiding injury in any athletic situation because nothing is more frustrating than injuries and not being able to perform. Discover the secrets to building a core that is primed for vertical explosion. A strong and explosive core will allow you to transfer your explosive approach into vertical power. Think of your core as the middle of a three linked chain. If it’s weak- the chain will break and power will be lost. You’ll feel athletic and strong when you “take off to jump” instead of feeling weak and jumping “forward”. Your horizontal momentum will instantly be transferred vertically when your strong core and abs tighten and you transition from running into jumping. Your strong core and “6 pack” abs will allow you to transfer horizontal speed to vertical lift in an instant. The feeling of being able to jump high from any approach distance (even a stand still) feels AMAZING, and others take notice and fear that you will block their shots or jump over them while on offense. There are no shortcuts to success. But the tools and tips in this guide come close. Follow them and you'll be well on your way to jumping higher. With this Eating Plan, figuring out what to eat to jump as high as possible isnever a battle. Inside you’ll find everything you need to get results, including options that make nutrition simple but effective for you as an athlete! Once PLYOVERTICAL takes your vertical jump to the rim level, we reveal the final steps to getting the confidence to dunk the ball consistently inside of our Dunk Kit. Many players struggle with jumping because they don't have the right mentality to jump higher. We'll help you develop that killer athletic mentality so you change the way you think and perform. You will have 24/7 ACCESS to their training program 365 days of the year. 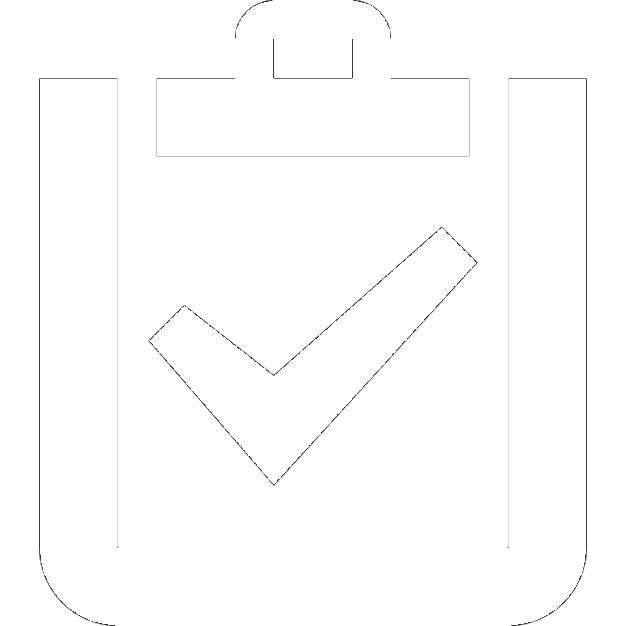 Also you will be able to access your training from any electronic device including - laptop, tablet, iPhone, Android and Kindle. It's a no-brainer. PlyoVertical works. And to prove it to you, go ahead and try it for 90 days. You're either fully satisfied... head over heels thrilled with PlyoVertical, or just return your program within 90 days for full purchase price - No Questions Asked. You can even keep the 30 Day Calendar, Quick Start Guide and 40 Inch Meal Plan as our free gifts to you, just for giving the program a shot. "It doesn’t matter how high you jump now. As long as you're dedicated to jumping higher... as long as you believe you can jump higher... you got this!" What do I need to be successful with PLYOVERTICAL? Most Importantly, you need YOU! 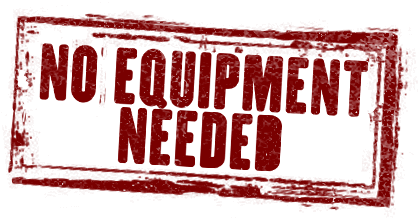 You do not need any equipment or even a basketball court. Just enough space to safely perform each exercise, but we recommend a towel and water for your daily workout because you will sweat. Is PLYOVERTICAL an online program with instant access? Yes! 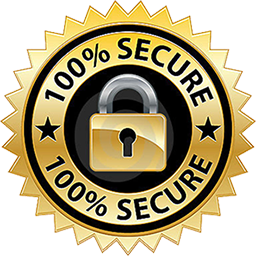 PLYOVERTICAL is an online training program and you’ll be granted instant, lifetime access as soon as you register and process your payment! 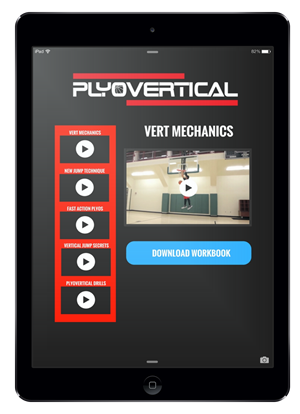 PLYOVERTICAL is the most efficient vertical jump training system ever created. Each workout ranges between 20 to 50 minutes, with the majority averaging around 40 minutes. 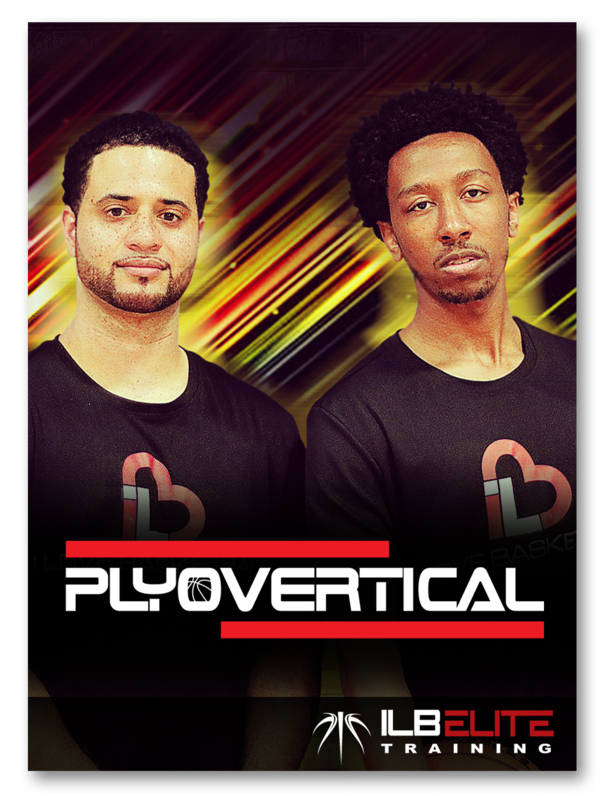 PLYOVERTICAL is a 30-day program with workouts scheduled 5 days a week. PLYOVERTICAL involves light and easy jump technique training, but the majority of your training will involve intense movements, explosive “fast action” plyometrics, and vertical jump mechanics that will increase your vertical significantly faster than standard jump technique and/or weight lifting jump programs alone. Do you have to already be in good shape and jump well to use PLYOVERTICAL? No, using PlyoVertical’s proprietary 3 tiered jumping system. You’ll develop incredible increases and fast results even if you have little to no experience training your jump, or can’t currently jump high. In contrast, if you are an elite jumper, you’ll find no training program in the world that covers all aspects of vertical jump to this extent, and you will increase your vertical by filling in and concentrating on our three tiers of jumping that may have been neglected in the past. How is PLYOVERTICAL different from traditional jump programs? PLYOVERTICAL is the only program in the world that uses "vert mechanics" and "fast action plyos". Along with the fact that it's the only program in the world that uses those two categories of training, it's the only one to combine "vert mechanics + fast action plyos + jump technique and puts them into one workout for fast results. How does PLYOVERTICAL Increase Your Vertical Jump up to so fast? Our unique combination of vert mechanics, fast action plyos and jump technique training combine to give players the fastest jump results ever seen. By correcting technique, improving mechanics and implementing fast action plyos your fast twitch muscles will fire as you start jumping correctly.